We like to ski. Saturdays in January, we head to the slopes. As a rule, we try to be on the road by 6 a.m. Today? Well…today we missed that goal by about 20 minutes, and that 20 minutes left us sitting in traffic for three hours before we even hit the exit for Berthoud Pass, from which point we still faced another 45 minutes on the road before we would arrive at Winter Park. Yikes. Colorado is the second-fastest growing state, and it is obvious every time we get on a highway. There are days when I find myself looking for the ocean because we must be living in LA. It is insane. Everyone wants to live here. And everyone who moves here does so for the mountains. Great for Colorado’s economy, but miserable for those of us who have lived here most our lives and remember the good old days when only a blizzard would find you stuck in your car at a crawl for over two hours before making your ultimate ski destination. Today we did something unprecedented in our ski history. We reached the turn off for Winter Park, looked at the traffic ahead of us and behind us, and uttered a collective NOPE. We drove up the exit ramp, made a sharp left, and merged back onto the highway headed east. We’d had enough of crawling. We’d been awake four hours and had nothing but lack-of-sleep hangovers to show for it. We didn’t have the energy left to stand in freezing lift lines for the equivalent of six minutes for every one minute we would get to dodge and weave our way down overcrowded slopes. We cut our losses. As we headed east we glanced at the vehicles standing still in three lanes of traffic heading west and knew we’d made the right choice. There will be other ski days. Skiing today would not have been worth any further effort. It took only 45 minutes to get home. When Steve and I were new-ish parents, we forced situations. We stuck with our plans, even when what we planned no longer made sense. We were going to live our lives and barrel through unabated by trivial things like explosions of infant poop in carseats. And we suffered for our inability to take in the big picture, to default to Plan B, or to skip straight to a plan we hadn’t yet conceptualized. Maybe it’s our 15 years of parenting experience, maybe it’s a greater understanding about what matters when it comes to family time, or maybe we’ve practiced yoga for too long now but, whatever it is, we find ourselves much more flexible when life throws us a curve. I like to think that on days like this one we are modeling for our sons the value in thinking critically as situations evolve and re-evaluating plans for the best outcome. We’re living in the present and acknowledging that we can’t control everything that happens but we can control our actions. Some days you stay and fight for what you want. You stand in a freezing lift line for the opportunity to schuss your way down a powdery slope. Other days it’s better to be Elsa and Let It Go. Now that our sons are older and more independent, one of my true summer joys is a day lounging at our favorite local pool, the small one with the reclining loungers, the water slide, and the vigilant lifeguards who shout “no running” at my kids so I don’t have to. Last week, the gods bestowed upon us an arguably perfect pool day. No menacing thunderheads hovered in the sky, the temperature was a pleasant and steady 83 degrees, and there was the lightest perceptible breeze, the kind that gently reminds you that sometimes all is right in your world. When mornings like that arrive, my day is set. Errands, appointments, laundry, and responsibility be damned. We’re pool bound. There is no other choice. Our fate is sealed. After wolfing down the sub sandwiches we picked up from Jimmy John’s on the way over, we began our idyllic summer sabbatical. My goal: complete summer surrender. From under my mirrored sunglasses, I lazily watched our sons take ridiculous leaps (meant to be impressive but in the end only exhibiting typical teenage goofiness) off the diving board while the playlist of LCD Soundsystem in my earbuds kept my feet moving just enough to burn a few calories while I let the sun work its magic. Nothing could be better, I mused to myself, swept away in the glee of a few hours’ worth of unadulterated leisure in the middle of the work week. That was when he stepped in front of me and everything changed. He must have been about seven, maybe eight, with sandy blonde hair. He stood out because, unlike the other children who had arrived in the same daycare group, he was alone in wearing street clothes and Crocs in place of brightly colored swim trunks and bare feet. 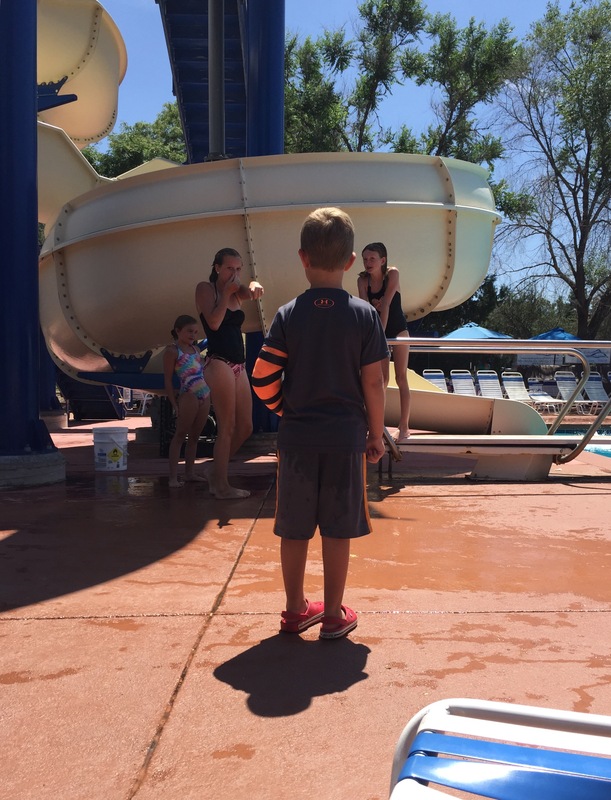 A bold orange cast with blue tape, a nod to the Denver Broncos, held his broken arm firmly in place while he stood on the side of the pool watching other kids take acrobatic turns off the diving board. As I looked at him with a mother’s eyes, I found myself wishing there were casts that mended broken hearts as well as broken arms. We are less than two weeks away from the start of the 2015-2016 school year here in Denver. All over the city parents are snapping up school supplies while siblings wage frustrated battles with each other in the waning days of summer break. My favorite season is slipping away, and each day closer to school is a heartless reminder of life out of the pool lounger and in the carpool lane. Today, though, I am thinking of that darling little boy with a cast who is probably looking forward to school this year for the first time ever, thinking about friends and structure and the chance to feel again like he belongs. Our singular experiences comprise our personal tale, but in the end it’s our shared struggles that make our stories worth recounting. 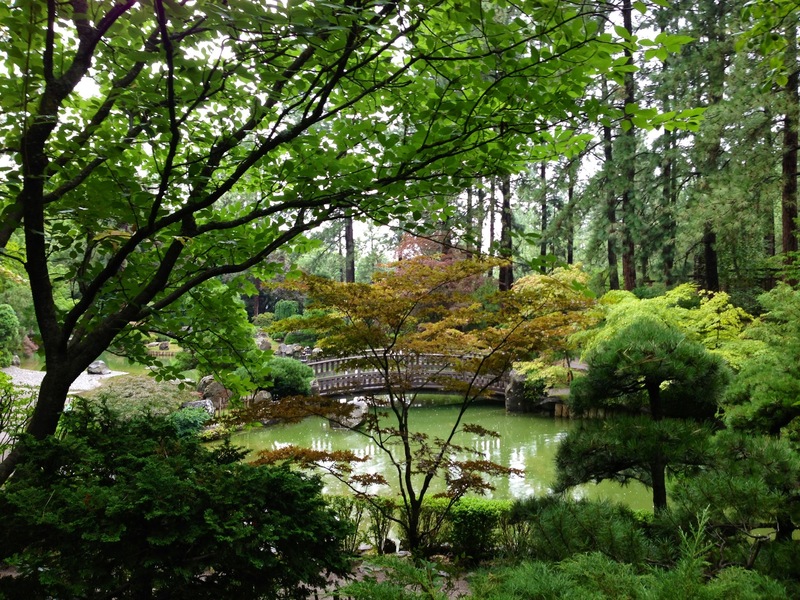 I think I should start every Monday in a garden like this one. Monday. Not my favorite word. Not my favorite day of the week. At 6:40 a.m., before my alarm had the opportunity to interrupt my sleep, youngest son busts into my room ready to beat his brother to the first shower of the day. I knew this was trouble because the first shower has traditionally gone to our unusually early-rising Joe, but honestly I was in denial that the weekend was over and not quite awake enough yet to deal with him so I let it slide. I remained in bed, trying to savor the last few minutes of relative peace before my week had to begin in an official capacity. After about five minutes, Luke exited the shower still giddy about his triumph. “I can’t believe I beat Joe to the first shower. I’m going to hurry and get dressed before he gets in here. I want to beat him downstairs,” he announced to me from the bathroom. “It’s not a race,” I reminded him. This is true. He’s the youngest. He’s acutely aware that he is forever behind the curve of his older brother. He’s been in second place his entire life. He gets the hand-me-downs. He has to wait until he’s bigger to do things his brother is already allowed to do. Any chance to be first is a treat. I get that. I also knew Joe would be annoyed because the first shower of the day is a big deal to him for some reason. Sure enough I was right. Just a minute later, Joe burst into my room, saw Luke fully dressed with wet hair, and started yelling. At this point, the boys began bickering loudly and I began slowly coming into reality. Lovely way to start a week. I rolled out of bed, hoping to minimize the damage to the morning. I told Luke to get downstairs and out of the way and snapped at Joe to get over it and get into the shower, which he did. Less than 30 seconds later, I heard the water shut off. Was he kidding me? All that fuss for a 30-second shower? There’s no way he actually used soap. The kid barely had time to get wet. “What are you doing?” I asked, striding into the room in full-on, overtired annoyance. “Yes, I did,” he retorted. “That’s not possible,” I said, raising my voice and upping the ante. “I did, Mom,” he insisted. From there, things rapidly shot downhill like an Olympic bobsled team gaining momentum. Joe was mad I thought he was lying about washing his hair. I was mad that he had made such a huge issue out of his shower time and then didn’t even bother to take it. He began crying and I was beyond irritated that this was the inauspicious beginning to my week. I sent him downstairs while I worked on my frustration by stomping and banging around upstairs. Childish, I know, but I was exhausted. I thought everyone in my house understood that you don’t wake this sleeping dragon beast by screaming in my lair. When I had finally chilled enough to arrive downstairs, Luke was busily getting water bottles and lunches ready (feeling a bit guilty, I suppose, for knowingly starting a war for the sake of being first). Joe was sitting on the living room sofa crying. I tried to pull myself together and regain control of the situation. I could not understand why he was making such a big deal out of missing the first shower. Then I started to wonder why I was making an even bigger deal about his big deal. I certainly wasn’t helping anything with my histrionics. I stopped, took a long, deep, yoga breath to the count of ten, and went over to hug Joe. I told him I was sorry for yelling at him and for not believing he’d washed his hair. He hugged back and told me he was sorry for starting our day with a fight. He was starting to calm down. I looked at the clock and realized we had 15 minutes before we had to leave. I went off to fix him some breakfast, satisfied that once he had some food we’d get beyond the ugliness. Quietly I berated myself for acting like such a brat. My 12 year old was schooling me in how to deal with setbacks. He’d decided to leave the mistakes of the morning behind. Yes. Monday had started out badly, but that didn’t mean we couldn’t change it. We could simply declare a do-over and move on. So, we did. I decided right then that do-overs should be my theme for the week. This came in handy a bit later in my Monday morning when I got to the Corepower studio for my flow-yoga class only to discover I’d gone to the wrong studio. Oops. Guess I’d be attending afternoon yoga instead. Of all the days of the week, Mondays rejoice the most in providing me with multiple opportunities to practice grace. You just know there’s going to be a great rainbow at some point. 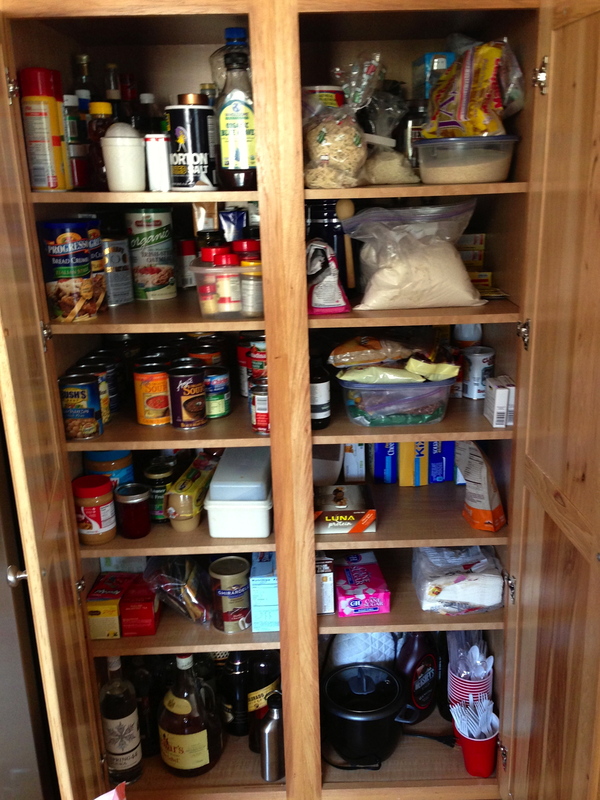 The past seven days have been fraught with parenting conundrums, struggles, and stresses. I’ve been on a ledge several times. I’ve cried. I’ve whined. I’ve thrown myself extravagant pity parties. One day I added a shot to my lemonade at 3:50 p.m., a full hour and ten minutes before I usually will allow vodka consumption. It has definitely not been a banner week for me as Mom. And, because I’ve been dealing with such a prodigious load of poop, every other part of my life has suffered as well. I’m under-exercised, the house is a pit, and I haven’t been sleeping well. Of course, now I also have a cold because that is how life works. So today, what better thing for me to do than to go on a field trip with Luke’s class in the pouring rain? 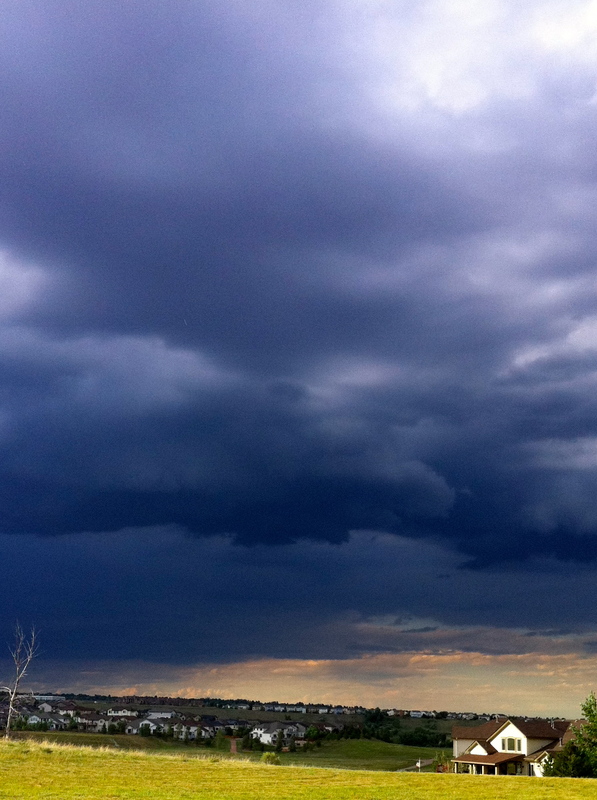 The sky was replete with low-hanging clouds. Rivers of run-off were cascading down the street, and the open space behind our house was dotted and dashed with puddles and streams. I tried to envision standing out in the rain with my sore throat and stuffy head. I wanted to ditch out, but knew I couldn’t. The only way out of this situation was through it, so after a series of not-so-amusing missteps (involving a raincoat left at home – not mine – and a wet pair of shoes that became new rain boots – which are now mine) we arrived at the field trip destination. As it turns out, despite my apprehension, something good came out of my wet, cold, field trip morning. You see, when you spend a few hours with 14 kids who do not belong to you, suddenly your own children (and their issues and quirks and problems) seem comfortable and familiar. I guess the devil you know really is better. My boys may have some learning disabilities. They may be small and get picked on. They may never be able to write a decent high school essay paper. They may never be gifted athletes. But, when the long day is done, they are exactly the young people I have groomed them to be. They are deep thinkers. They are imaginative. They care about the earth and the animals and plants on it. They like to learn about the world, and they are enthusiastic travelers. They are respectful of authority. They are articulate and have voluminous vocabularies. They are a reflection of Steve and me, but with a new and original light only they could share with the world. My parenting struggles originate not from who my boys are or are not but from the dragons I cannot slay for them, the things I cannot control. I’ve become too concerned with how what they’re going through includes me rather than disconnecting my ego and focusing on how best to help them find their way. I write here all the time about how we’re all on our own individual treks in this life, but I forget that applies to my boys as well. I may not like what they’re going through and I may want to relieve them of it, but what if what they’re going through is precisely the experience they need to grow on? What if my constant intervention on my own terms interrupts their process? I have no answers to any of this. I’m merely writing out loud. I’m scrambling through uncharted territory, fumbling blind. All I’m certain of is that on this rainy day, the clouds in my life began to break a bit. I have a new way of looking at the issues my boys are facing, and it’s giving me strength and positivity with which to move forward. The rainbow is beginning to take shape and I think it’s going to be a good one. This morning, my crazy husband and I awoke to our alarm clock at 4:30 a.m. We got dressed (long underwear underneath our clothes), made lattes, woke our sleeping children and dressed them in warm gear, and were on the road at 5:40 to head to the mountains. 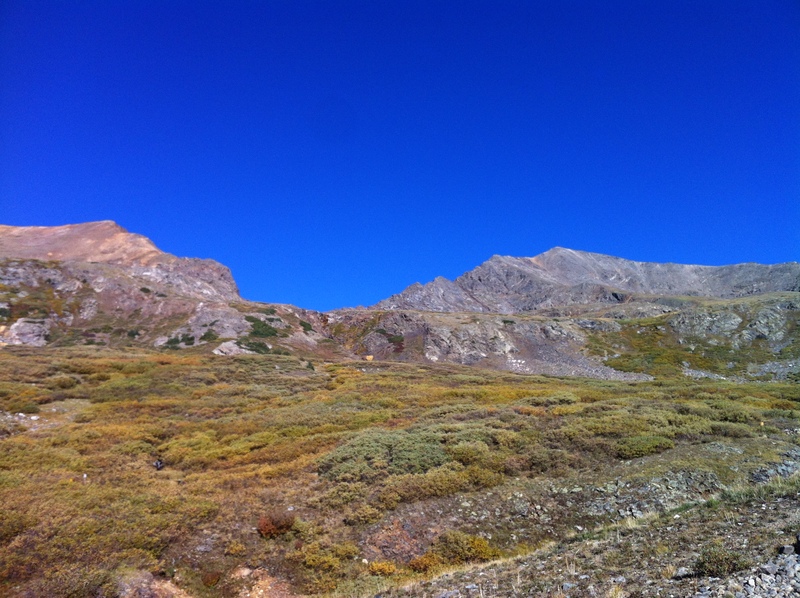 Our plan: to summit Grays Peak, elevation 14, 270 feet, with our friends. Using a book called Colorado’s Fourteeners as our guide, we decided that our route should be up the eastern slope of Grays. According to the book, this was a shorter climb that was just a bit more difficult than the more heavily traveled climb up Grays’ western slope. With three kids between the ages of 9-11 in tow, we thought the shorter route might be advisable. At 8 a.m. and only 38 degrees we left our cars and, laden with filled personal hydration packs, we began the trek to the trailhead. The book said the trailhead was .3 miles from the parking lot. It was not. It was over a mile up a 4-wheel drive road before we began seeing markers for the ascent. This was definitely going to put a damper on the “lower mileage” we were hoping for. The kids were slow to get started because of the cold. As the heart-pumping climbing began to warm us, we shed of layers of gloves, knit hats, wind gear, and fleece jackets so we could continue. We reapplied sunscreen and tried to fill up on snacks. We were stopping as much as we were moving, which was not a good sign. Still, we trudged along, taking several false trails before finally deciding on a direction to head. By the time we had reached 13,251 feet on our climb (we’d started at 11,095 feet), we had been traveling nearly four hours. With all the stopping and starting, we had exhausted most of our water supply. Luke was complaining of a headache (dehydration related, I’m sure), Joe was starting to freak out because there was no clear cut path to the summit, and we weren’t sure what to do. We estimated that it would take us about 2 additional hours to reach the summit because there was no clearly marked trail. We’re smart parents, though, and knowing we were low on water and patience we decided the best course of action would be to pack it in, so we began our descent without ever reaching our intended goal. Three years ago, when he was just 8, Joe climbed his first 14er (there are 53 mountain peaks in Colorado with elevations in excess of 14,000 feet, affectionately called 14ers). Two years ago, when Luke was just 7, we attempted to summit Mt. Sherman, but high winds and children with fear of heights kept us from that goal. 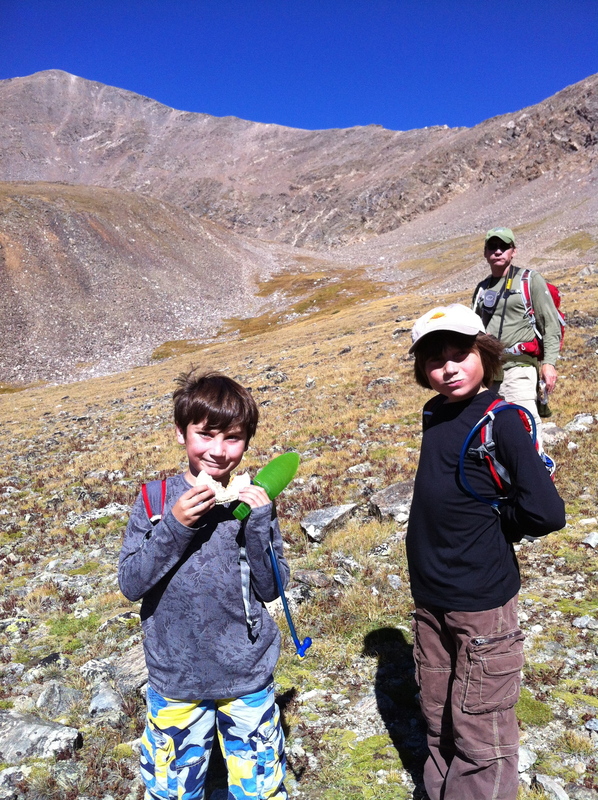 We had hoped today would mark Luke’s first ascent over 14,000 feet, but it was not to be. I wanted to be upset because we did not accomplish our goal, but I wasn’t. We’d climbed 2,393 feet (all at high elevation) and walked nearly 7 miles, sometimes on slopes so steep that we were leaning into the hill to climb. The kids scrambled rocks and scree and were sure-footed as little goats. They made me proud. As we were walking down, I could tell our friend’s daughter was a bit disappointed that she wasn’t going to be able to finish the climb because our boys had wanted to call it quits and we had agreed. Then I heard her repeat something to her dad. He asked her about the priorities for the day. “Number One: Be Safe. Number Two: Have Fun. Number Three: Reach The Top,” she recited. That got me to thinking about how often in life we feel that if we don’t reach the goal, the effort was wasted. But, that’s not really the case, is it? 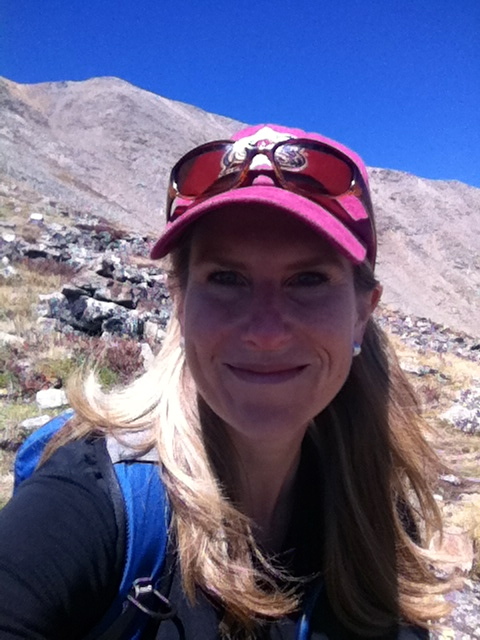 Was it a waste of a day because we didn’t summit Grays Peak? I don’t think so. I mean, we were on a mountain with three kids climbing at high altitude for a long distance. None of us got hurt. We all returned to the cars without a scratch. Item Number One: Check. Although the climbing was difficult and we all took turns being slow and stopping, we had fun. We laughed, commented on the gorgeous scenery, and appreciated the Rocky Mountain High views. We had great conversations with people we truly love. Item Number Two: Check. We didn’t reach the top, but that was the last priority. After a long day, we went to Beau Jo’s for some Colorado-style pizza and beers (microbrews for the adults, root beers for the kids) to celebrate. We returned home 12 hours after we’d departed, exhausted and a bit sunburned, but feeling good about our effort. We will make some changes next time we attempt this climb (and we will attempt it again). Still, today really did prove the Chinese proverb, “The journey is the reward.” We may not have reached the goal, but the time we spent with our children and our friends, the beauty of the Colorado back country on a cloudless day with deep blue skies, the joy of seeing mountain goats in the distance walking around on Grays Peak, and the serenity of the nearly vacant east side of that awesome 14,270 foot peak made the journey worthwhile. It really comes down to perspective. You can beat yourself up over not reaching your intended target, or you can stop to enjoy what you discovered along the way. The choice is yours.